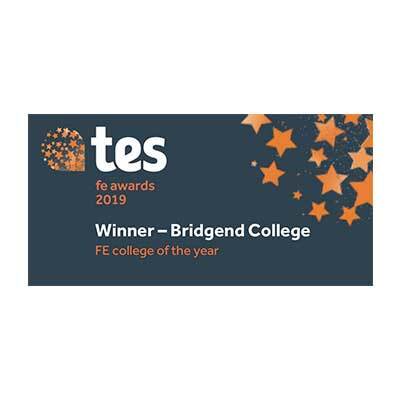 Bridgend College has been crowned FE College of the Year at the 2019 TES FE Awards. 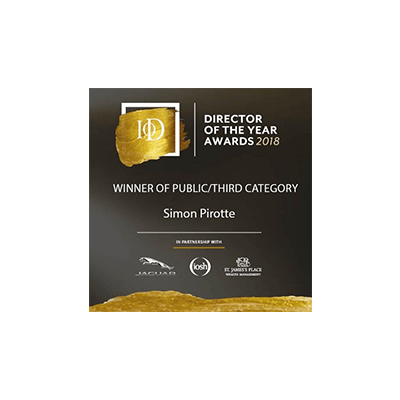 Principal and CEO, Simon Pirotte was awarded the title of Director of the Year in the category for Public/Third Sector, at the finals of the national Institute of Directors (IoD) Awards in 2018. 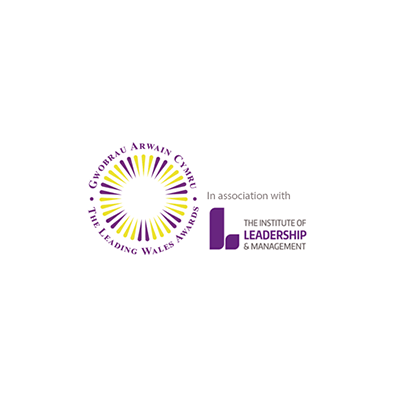 Deputy Principal Viv Buckley was crowned the winner of the ‘Leadership in Public Sector Award’ at the Leaders in Wales Awards 2018. 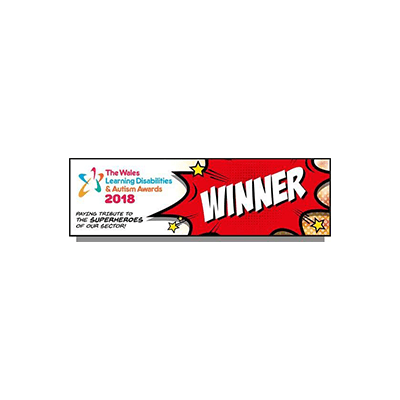 Bridgend College were announced as winners of the ‘Care Employer Award’ at the Wales Learning Disabilities & Autism Awards in 2018. The judges were impressed by the all-inclusive approach demonstrated and commended the College as being a real people centred organisation. 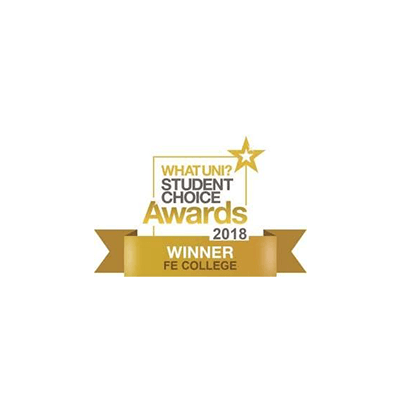 Bridgend College was named winners of the FE category of the ‘What Uni’ Student Choice Awards 2018. Association of Colleges Beacon Award for Leadership and Governance. 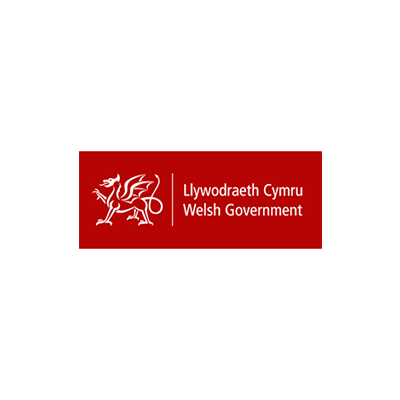 We are the best-performing* College in the whole of Wales according to a study conducted by the Welsh Government. 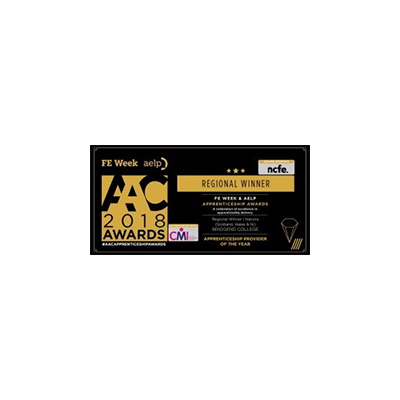 Bridgend College won the regional FE Week & AELP Apprenticeship Provider of the Year Award for Scotland, Wales and Northern Ireland. Bridgend College placed 28th in The Sunday Times 100 Best Not-for-Profit Organisations to Work For 2017 – the only FE College in Wales to be recognised in this category. 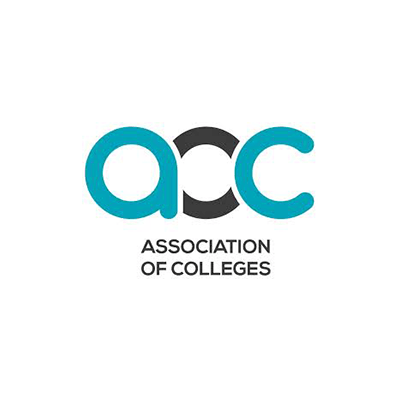 Association of Colleges (AoC) Beacon Award for the Development of Transferable Skills. The College received the rare double excellent for its current performance and its prospect for improvement. 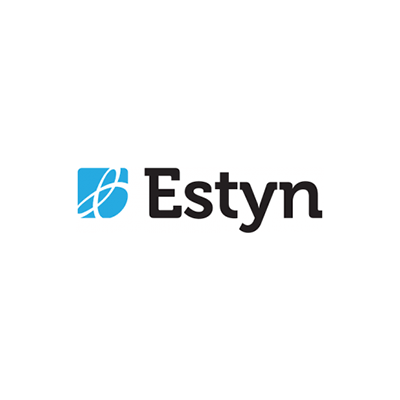 We were awarded 11 ‘Excellent’ grades and 4 ‘Good’ grades by Estyn. We are currently the only** FE College in the whole of south Wales to have a ‘Double Excellent’ report. Countryside Management lecturer Lyn Evans won Tutor of the Year and a Medal of Excellence from City and Guilds. 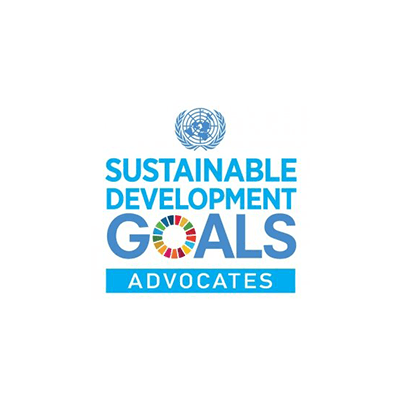 Bridgend College is the first FE College in Wales to sign the SDG Accord. We now sit among many educational organisations from around the world. 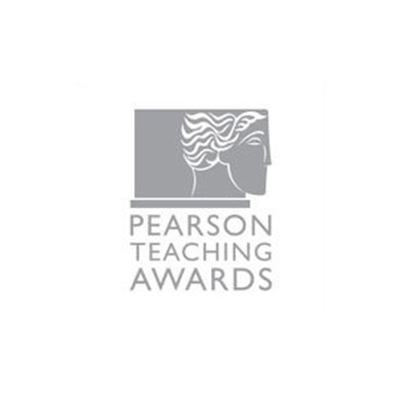 Bridgend College Travel & Tourism staff won the Pearson Silver Teaching Award for FE Team of the Year – one of only twelve teams in the country to do so. 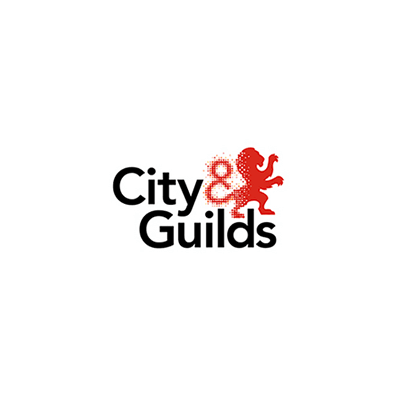 We have full-time courses in over 20 vocational subject areas. You can choose a course from Entry Level through to Level 3 Extended Diploma. We have enjoyed a good working relationship with employers for many years and continually aim to enhance this provision. From term times, open evenings to learner performances and graduation, see key dates from us to note in your diary.